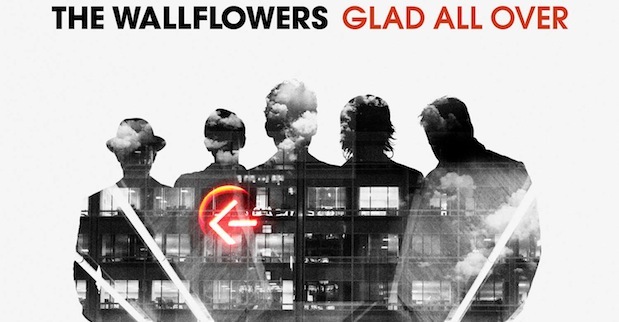 It’s been a while since The Wallflowers released a new record, but you’d certainly never think it from Glad All Over. The band are as tight and together as ever, illustrating a truly remarkable precision and mastery over their craft that is nothing short of inspiring. They’ve clothed this album in the most elusive yet consuming sense of nostalgic warmth, burying tweaks and details in understated guitar touches and minimalistic instruments to create a record that is simple and dedicated yet captivating in the most wholesome of ways. Leading the fray is the confident purr of Jakob Dylan (son of you-know-who), whose broad, velvety tones bring much of the warmth and subtlety to this record but who also endows its softer moments with feeling and melancholy. Glad All Over isn’t, perhaps, offering anything new or mesmerising but as a solid, carefully executed, and creative piece of work it’s completely satisfying, and in that, already far exceeds much of its fellow output in rock music today. The album is largely an upbeat affair; classy and poised, yet mixing its sprawling sense of joy with something more insightful, earthy, and contemplative. The songs are anchored by solid rhythm and an instrumental flair that brings depth and brilliance to even their most inelegant of moments. A tangible sense of poignancy courses through the likes of “First One In the Car,” captured in a knowing vocal and patient instrumental that allows itself to get just carried away enough to entice the listener but never overstep the sweetened tone of the track. The details are unarticulated or kept minimal, meaning the allure is a discreet and creeping one that’s all the more potent for its humble origins. “Hospital for Sinners” is quietly driven, its boisterous rhythm belying the gentle confidence at its heart. “Misfits and Lovers” thrives on an amiable beat and structure that snaps up the listener, while deft guitar tricks and flicks garnish it with a bit more style and substance. Glad All Over uses its intricacies to juxtapose moods and sentiments, infusing something joyful with a bittersweet tinge and, likewise, exploring weaker moments through the prism of something hopeful. “Constellation Blues” is brooding, and yet not quite what I would call serious. The backing guitar work is so vivid and exuberant that it creates an air of gleeful anticipation, of something wishful, thereby making the song sound earnest and endearing. Yet, its pace is so unrelenting and swift that the song overall has an insistent quality, one not entirely in keeping with this warmer core. “One Set of Wings” is almost apologetic in tone, as the plaintive vocals make all seem humbled and lowly. It is left to the instruments then to deliver potency and even a kind of twisted irony in their defiant notes. This meandering approach, mixing bravado with sobriety and wonder, allows for a fully realised final track that perfectly illustrates the depth and nuances the band have been so adept at capturing throughout. That said, the album is not all veils and mystery – its midsection in particular offers a more fun-loving, mischievous collection of songs that take The Wallflowers into territory more akin to The Hives’ uproarious brand of rock. “Reboot the Mission,” wisely chosen as the album’s first single, dramatically upscales in tempo and adopts a playful, irreverent approach. It has an edge and even a streetwise feel, as Dylan relaxes into a plainer, feelgood version of himself. “It’s a Dream” is a colourful and adventurous ode that tells its story in a very exotic way. The words and singing are a little harried, a gorgeous piano in the background adding pomp and swagger, while the tone and style of the music implies intrigue and suspense. It’s another aspect of a multi-faceted and hugely enjoyable album that goes out of its way to indulge almost whim its listeners could have. Glad All Over is a thoroughly pleasing album. It would be folly to suggest the band set out as eager to please but the level of detail and depth that they bring to their songs is indicative of a fully thought-out, carefully planned record that leaves no stone unturned and endows each track with a hidden twist. It’s hard to imagine that this wouldn’t please long-term fans as well as newbies, as it all sounds very simple and undemanding but it has buried more than enough treasure within its walls to keep all digging, discovering, and delighting. Absolutely love these guys! Check out what i think is their best video so far!! Ahh, i absolutely love The Wallflowers! They’re amazing! LOVIN’ Glad All Over! I’ve been listening to it all day, I feel like. I’m totally okay with that too.